Tallman's Tire & Auto Repair and Tallman's Express lube are committed to a policy of equal employment opportunity and will not discriminate on any legally recognized basis including, but not limited to, race, gender, color, religion, age, physical or mental dis-ability, national origin, military status, sexual orientation, genetic information or any other protected class or status recognized by federal, state or local law. Tallman's Tire & Auto Repair and Tallman's Express lube are an at-will employer as allowed by applicable state law. This means that regardless of any provision in this application, if hired, the company or employee may terminate the employment relationship at any time, for any reason, with or without cause or notice. Resumes may be attached but may not be used as a substitute for an application. All applicants must complete an application. All applicants offered a position will be required to take and pass a drug test. Tallman's Tire & Auto Repair and Tallman's Express Lube are committed to providing a safe, healthy, and drug-free workplace. Being free of illegal drugs, illegally used prescriptions or controlled substances of any type is a condition of employment. 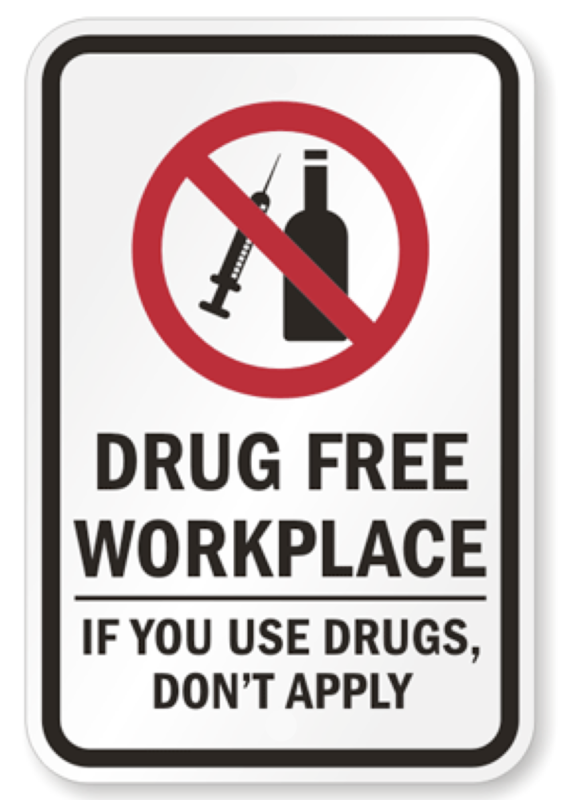 Any employee found using, selling or possessing illegal drugs will be subject to disciplinary action up to and including immediate termination as explained in our drug-free workplace policy. Yes No Proof of certification will be required. *The existence of a criminal record will not automatically disqualify you from the job you are applying for. law you are not required to provide information regarding a specific conviction. Please list the names of your present and/or previous employers in chronological order with present or most recent employer listed first. Provide information for at least the most recent ten (10) year period. If self-employed, supply firm name and business references. You may include any verifiable work performed on a volunteer basis, internships, or military service. Your failure to completely respond to each inquiry may disqualify you for consideration from employment. Do not answer "see resume". Did you give notice when resigning? Are you still employed here? Please provide the date(s) and explain so that individual circumstances can be considered. Please list three (3) references that are familiar with your work life. Do Not include family members or people who live with you. This Company only employs individuals who are legally eligible to work in the United States. Any applicant hired by this Company, will be required to provide genuine documentation establishing identity and eligibility to be legally employed in the United States. Please read entirely and carefully. "I certify that the facts contained in this application are true and complete to the best of my knowledge and understand that, if employed, falsified statements on this application shall be grounds for dismissal." "I authorize investigation of all statements contained herein and the references and employers listed above to give you any and all information concerning my previous employment and any pertinent information they may have, personal or otherwise, and release the company from all liability for any damage that may result from utilization of such information." "I also understand and agree that no representative of the company has any authority to enter into any agreement for employment for any specified period of time, or to make any agreement contrary to the foregoing, unless it is in writing and signed by an authorized company representative." "I authorize and consent to, without reservation, any part or agency contacted by this employer to furnish the above mentioned information. I hereby release, discharge, and hold harmless, to the extent permitted by federal, state, and local law, any part delivering information to the Company or its duly authorized representative pursuant to this authorization from any liavility, claims, charges, or causes of action which I may have as a result of the delivery or disclosure of ther above requested information. I hereby release from liability the Company and its representative for seeking such information and all other persons, corporations, or organizations furnishing such information. Further, if hired, I authorize the company to provide truthful information concerning my employment to future employers and hold the Company harmless for providing such information." This waiver does not permit the release or use of disability-related or medical information in a manner prohibited by the American with Disabilities Act (ADA) and other relevant federal and state laws. "I understand that should an employment offer be extended to me and accepted that I will fully adhere to the policies, rules and regulations of employment of Tallman's Tire & Auto Repair or Tallman's Express Lube. However, I further understand that neither the policies, rules, regulations of employment or anything said during the interview process shall be deemed to constitute the terms of an implied employment contract. I understand that any employment offered is for an indefinite duration and at will and that either Tallman's Tire & Auto Repair or Tallman's Express Lube, or I may terminate my employment at any time with or without notice or cause. "I understand and agree that Tallman's Tire & Auto Repair or Tallman's Express Lube acceptance of this job application does not mean that a position for which I am qualified is open (unless specifically posted) or that Tallman's Tire & Auto Repair or Tallman's Express Lube has agreed to hire me. I understand that, if employed, falsified statements of any kind or omissions of facts called for on this application shall be considered sufficient basis for dismissal." This application will be considered active for a maximum of sixty (60) days. If you wish to be considered for employment after that time, you must reapply. "I understand that if this application is for a driving position that a thorough Motor Vehicles check will occur and that I will be subject to the Department of Transportation regulations including ongoing drug testing." "I understand and agree that if driving is a requirement of the job for which I am applying, my employment and/or continued employment is contingent on possessing a valid driver's license for the state in which I reside." Tallman's Tire & Auto Repair and Tallman's Express Lube reserves the right to conduct further background checks on any applicant and will request further authorization if and when any further background checks are thought to be necessary. "I understand that Tallman's Tire & Auto Repair and Tallman's Express Lube is a drug-free workplace and maintains a drug testing program consistent with applicable federal, state, and local law. If I am offered a conditional offer of employment, I understand that if a pre-employment (post-offer) drug test is positive, the employment offer may be withdrawn. I agree to work under the conditions requiring a drug-free workplace, consistent with applicabl efederal, state, and local law. I also understand that all employees of the location, pursuant to the Company's policy and federal, state, and local law, may be subject to urinalysis to detect the presence of illegal or controlled drugs. If employed, I understand that the taking of drug test is a condition of contiunal employment and I agree to undergo drug testing consistent with the Company's policies and applicabl efederal, state, and local law. "If employed by the Company, I understand and agree that the Company, to the extent permitted by federal, state, and local law, may excercise it's right, without prior warning or notice, to conduct investigations of property (including, but not limited to, files, lockers, desks, vehicles, and cmoputers) and, in certain circumstances, my personal property." "This Company is an at-will employer as allowed by applicable state law. This means that regardless of any provision in this application, if hired, the Company or I may terminate the employment relationshiop at any time, for any reason, with or without cause or notice. Nothing in this application or in any document or statement, written or oral, shall limit the right to terminate employment at-will. No officer, employee, or representative of the company is authorized to enter into an agreement (express or implied) with me or any applicant for employement for a specified period of time unless such an agreement is in a writted contract signed by the president of the Company." "I understand and agree that as a condition of employment and to the extent permitted by federal, state, and local law, I may be required to sign confidentiality, restrictive covenant, and/or conflict of inerest statement, as well as an agreement to arbitrate." "If hired by this Company, I understand that I will be required to provide genuine documentation establishing my identy and eligibility to be legally employed in the United States by this Company. I also understand this Company employs only individuals who are legally eligible to work in the United States." "If hired, I agree to conform to the rules and regulations of the Company, and I understand that the Company has complete discretion to modify such rules and regulations at any time, wcept that it will not modify it's policy of employment at-will." DO NOT SIGN UNTIL YOU HAVE READ ALL OF THE INFORMATION CONTAINED IN THE APPLICATION.